Seattle weather update: the record-setting June and early July is behind us. We’re on day five of cool, normal, 72° Seattle weather. Sailboats are out. Parks are full. The Puget Sound is up to a balmy 52.7° fahrenheit. Also, this is a long newsletter. Stretch your eyes! Did you buy an Apple Watch? OmniFocus on Apple Watch is downright useful, and we’re happy to see people fitting it in to their workflow. Not everyone here has had their life completely changed by Apple Watch, but quite a few of us have adapted bits and pieces into different workflows to utilize what makes OmniFocus for Apple Watch so worthwhile. 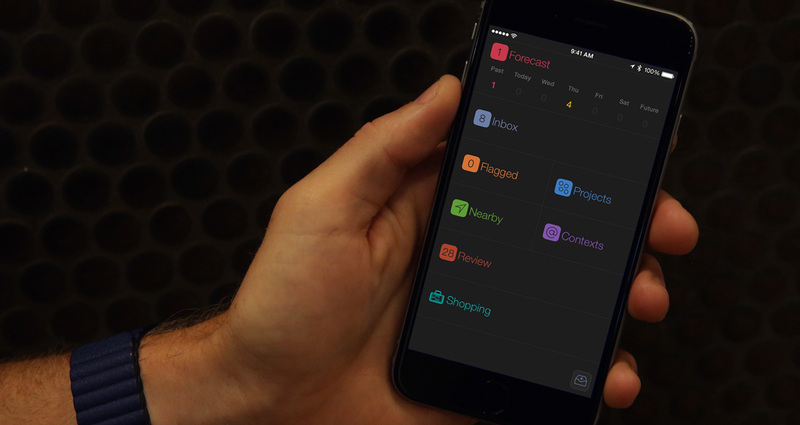 Welcome Dark Palette, Swipe to Flag, and Responsive Sync to OmniFocus for iOS! This summer brought some new features to Mac. A fully customizable extension for the Today view in Notification Center means you can pick your own view. For those using Pro, just pick a custom perspective and be forever-up-to-date with OmniFocus itself. OmniFocus for Mac can also trigger a Push Sync in OmniFocus for iOS, too! First, we’ve got to get OmniFocus ready for El Capitan. But we’re also busy on a new option to fit more tasks onto your screen at once—a pretty popular feature request—and finishing up Push-Triggered Sync for Mac. Make sure you’re following @omnifocus on Twitter for news about the public test. Download at Stenciltown! Our own UX Lead William Van Hecke put it all together, and it features a pretty complete set of fully-adjustable objects. Even the Share Sheet icons are Graffle shapes! Last Call For Support Lab on July 24th! If you’re already in Seattle, this is a great time to meet someone with an intimate knowledge of all of our apps. Question about Perspectives? Check. OmniPlan syncing help? We’ve got it. If scheduling a one-on-one support session with someone at Omni sounds good, just send us email.